BLOOMINGTON, Minn. – March 18, 2019 – As we prepare for the final weekend of the Western Collegiate Hockey Association Playoffs, the WCHA is proud to recognize four student-athletes as its Players of the Week for their performances in the WCHA Semifinals, March 15-16. The honorees are Bowling Green sophomore Max Johnson (Forward) and junior Alec Rauhauser (Defenseman) and Minnesota State freshmen Dryden McKay (Goaltender) and Julian Napravnik (Rookie). 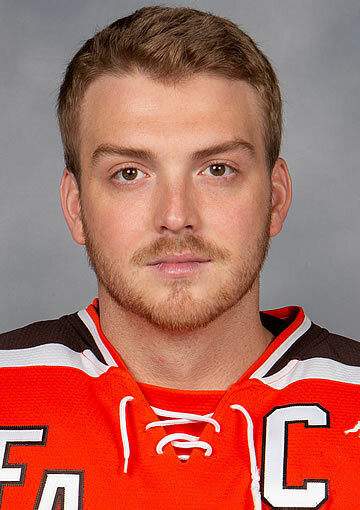 Bowling Green's Max Johnson continued to have the hot stick in Bowling Green's 6-1 victory over Northern Michigan in the opening game of the Falcons' WCHA Semifinal series last weekend. The sophomore from Lakeville, Minn., recorded two goals and two assists for the second straight game coming into Friday (March 15). 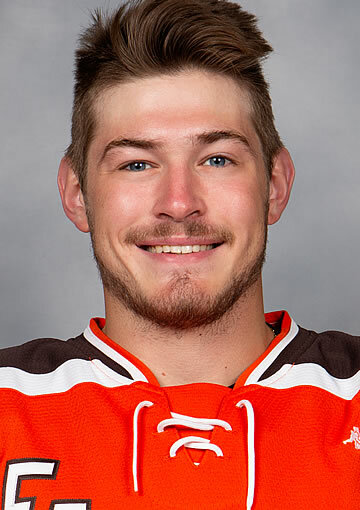 Johnson would open the scoring for Bowling Green in the second period of play, before tallying back-to-back assists on BGSU's two power play goals to begin the third period. He would score one more in the third period to extend the Falcon lead. In addition to leading the Falcons in goals, Max Johnson has recorded 12 points over BG's five game winning streak. This is Johnson's third Forward of the Week honor this season. Honorable Mention: Diego Cuglietta, Sr., Lake Superior State (scored his NCAA-leading 25th goal on Friday; the tally was also the 50th of his career and his 100th career point); Charlie Gerard, Jr., Minnesota State (scored MSU's game-tying goal on Friday and assisted on the game-winner in Saturday's Semifinal series clincher). Junior Alec Rauhauser recorded a three-point series in BGSU's sweep of Northern Michigan last weekend. The Bismarck, N.D., native picked up assists on both of Bowling Green's power play goals in the third period to put away the Wildcats on Friday. Rauhauser then followed up the performance with an assist on Sam Craggs' overtime game-winning goal to win the series for the Falcons on Saturday night. The 6-3 defenseman had eight shots on goal in the series, and four blocked shots. Rauhauser continues to lead the roster in plus/minus. This is Rauhauser's fourth Defenseman of the Week award this season. 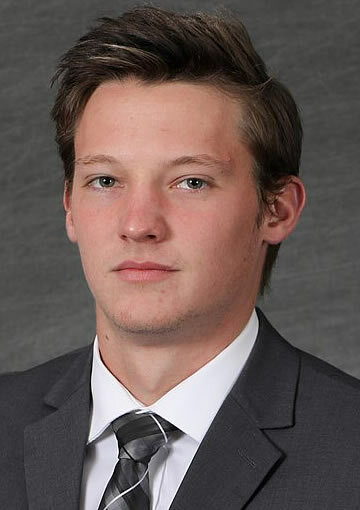 Honorable Mention: Tyler Anderson, So., Lake Superior State (blocked three shots and finished +1 with four shots on goal in Lake State's WCHA Semifinal series at Minnesota State); Connor Mackey, So., Minnesota State (assisted on MSU's game-winning goal on Friday and finished the weekend with five shots on goal and a +1 rating). Minnesota State's Dryden McKay went 2-0-0 with a 0.50 goals against average and a .981 save percentage as Minnesota State swept its WCHA Semifinal series vs. No. 20 Lake Superior State. McKay stopped 51-of-52 shots and helped keep the visiting Lakers off the scoreboard in all eight power play situations for the weekend. Had 20 saves in Friday's 2-1 victory. Had 31 saves and earned fourth shutout of the season in Saturday's series-clinching 2-0 win. For the year, the Downers Grove, Ill., native's record stands at 23-6-2 with a 1.65 GAA and .932 sv%. This is McKay's fourth Goaltender of the Week award in 2018-19. He also earned Rookie of the Week honors on Oct. 15. Honorable Mention: Ryan Bednard, Jr., Bowling Green (stopped 66-of-68 shots in the Falcons' two-game road sweep of Northern Michigan in the WCHA Semifinals); Nick Kossoff, Sr., Lake Superior State (recorded 57 saves with .934 save percentage in the Lakers' WCHA Semifinal series at Minnesota State). Minnesota State's Julian Napravnik had a game-winning goal and registered eight shots on goal as Minnesota State swept its WCHA Semifinal series vs. No. 20 Lake Superior State last weekend. His goal Saturday, which opened the scoring and came on the power play at 12:14 of Saturday's 2-0 Minnesota State win, is his second game-winning goal of the year. The Bad Nauheim, Germany, native leads Minnesota State freshmen in scoring with 8-13--21 in 39 games played this season. This is his second Rookie of the Week recognition this season. 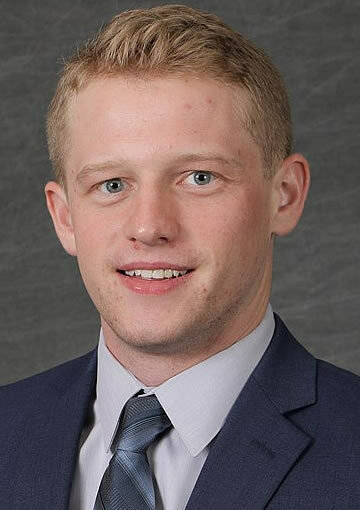 Honorable Mention: Jacob Nordqvist, Fr., D, Lake Superior State (led all WCHA defensemen with six blocked shots last weekend).